Stephanie has always loved this industry even from a young age playing beauty salon with her sister and friends. I attended Madison County Career Tech in high school and secured a job at State Beauty Supply right out of High School. She worked and managed the Huntsville State Beauty Supply for 15 years. 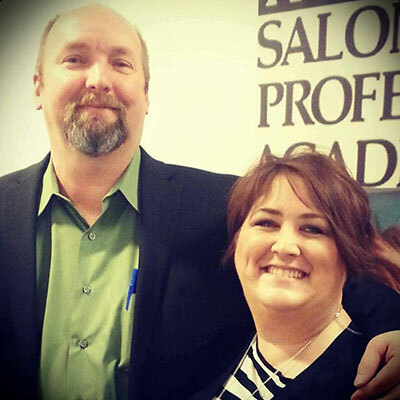 In 2007, they had the opportunity and privilege of opening a Salon Professional Academy. She loves seeing the “lightbulbs” go off in a student’s mind. Each day is a new journey and makes coming to the Academy exciting and lets her stay in the industry she loves. Her personal passion is her family, they are a close-knit group and she hopes that she instills in her children the reason and purpose to love what you do. She is always looking for new ways to learn and grow. She attends as many classes as possible and never wants to stop learning. She continues to read and learn about the Department of Education regulations and laws, as well as continuing her Education in the beauty industry to better assist students graduate and thrive as a Cosmetologist. Her students know that her goal for them is to succeed in this industry. She expects them to do their part and pushes them daily to set goals and not let anyone or anything get in the way of making their dreams come true. She is a Huntsville native, grew up in the Big Cove area, attended Madison County High School, and now her children are growing up in the same area and attending New Hope High School.